Accelerade was purchased by Mott’s a few years ago and they are clearly trying to compete with Gatorade and other mass marketed sports drinks. 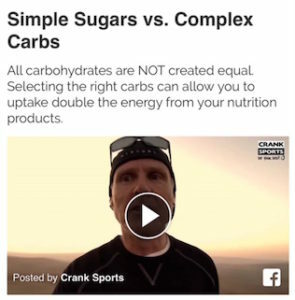 The problem with all of those products, including Accelerade, is that they are nearly 100% sugar with very little if nay complex carbohydrates. Accelerade weighs in at a whopping 95% sugar! In addition, expensive ingredients that competitive athletes look for in a good product are all missing from Accelerade: no vitamins or antioxidants.Accelerade’s claim to fame is the addition of protein in a 4:1 ratio of carbohydrates to protein. The company funded research that suggests that the addition of protein is beneficial, but independent research has shown that these claims have no merit. Protein in your sports drink DOES NOT boost performance (see links below for additional information).